Larry Bohn is a managing director at General Catalyst, a venture capital firm with offices in Boston, New York and Silicon Valley and approximately $5.0 billion in total capital raised. Larry invests in software technology businesses with a focus on SaaS-based commerce, analytics, and cloud-based applications. His portfolio of investments includes: B12, BigCommerce; Black Duck Software (acquired by Synopsys in December 2017); Clarabridge, Demandware (NYSE: DWRE); Drift; Feedvisor; GoodData; HubSpot (NYSE: HUBS); Kensho (acquired by S&P Global in April 2018); L2 (acquired by Gartner in March 2017); Mark43; Newstore; OM1, PDFFiller. 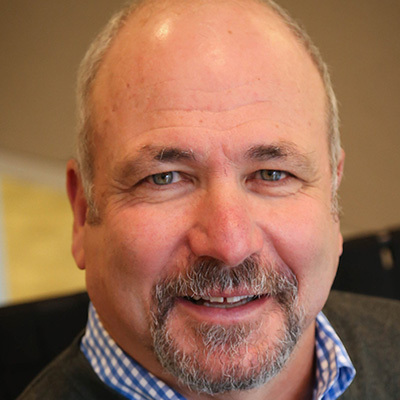 In 2017, Larry co-founded the Velocity Network, which connects enterprise decision makers with emerging venture-backed start-ups. Before joining General Catalyst, Larry was the Chairman and CEO of NetGenesis, a market leading web analytics software provider. Larry led NetGenesis from 1997 to 2001, during which he took the company public in December 2001 and was later acquired by SPSS, Inc. Prior to NetGenesis, Larry was President of PC DOCS, Inc., a leading developer of document management software, where in 1996 he led the company’s highly successful public offering. Previously, Larry was Senior Vice President of Marketing and Business Development at Interleaf, Inc., where he defined and implemented the corporate strategy that put its electronic publishing solutions in a top market position and helped grow the business to more than $120 million in annual revenues. Outside the office, Larry is an avid cycler (20-year Pan-Mass Challenge rider), amateur woodworker, and dedicated fundraiser for the Dana-Farber Cancer Institute.